Olympique Lyon is one of the best clubs in Europe when it comes to developing talents. Over the past years the club have made huge profits from the sale of players either from their youth set up or players who have undergone their development phase at the club. 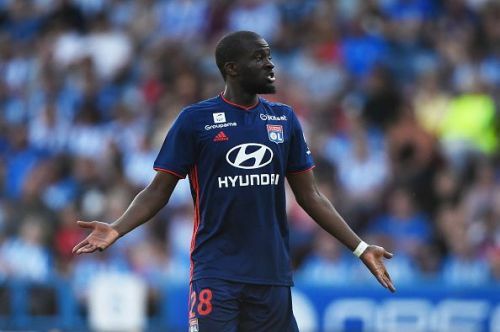 One player who is likely to follow in the footsteps of Alexandre Lacazette, Corentin Toliso and Karim Benzema by getting the big money move to another club is Tanguy Ndombele. The French international who received his first senior national team call up just a week ago has already attracted interests from a host of European clubs including Tottenham Hotspurs and Manchester City. 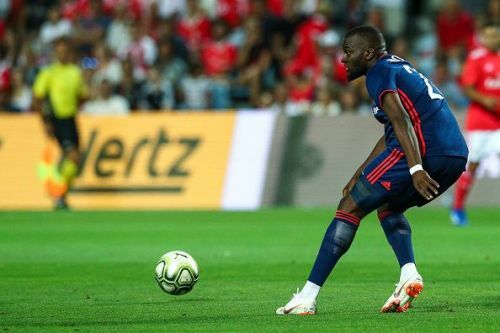 I've therefore taken a look at what makes Ndombele one of the hot prospects across Europe. At just 21 years of age, Ndombele has already matured into one of the best ball-playing defensive midfielders in the french league drawing comparisons to France and Arsenal legend Patrice Vieira and Spurs midfield sensation Mousa Dembele with his playing style. The 21 year old has been one of the key players for Bruno Genesio's side since his move from Amiens and there is no doubt that Lyon's president Jean-Michael Aulas will be fighting with suitors all over Europe to keep his prized asset at the club sooner rather than latter. 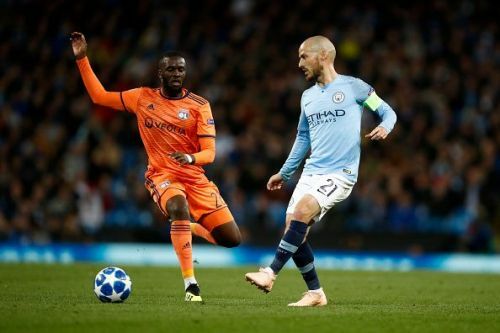 Tanguy Ndombele's natural possition is the defensive midfield although he can also function as a central midfielder in a flat midfield trio. 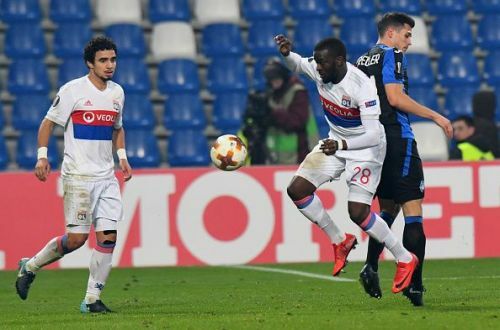 His potential can best be unlocked when deployed in a double pivot midfield shape of a 4-2-3-1 formation and this is where Ndombele is deployed in the current Bruno Genesio-led Lyon. In the 4-2-3-1 formation, Ndombele has been played in a double pivot alongside Lucas Tousart whereas in the 4-3-3 formation, he had functioned as the dynamic box to box midfielder alongside Tousart and other exciting midfielder Houssem Aouar. One of the things that stands out in Ndombele's game is his dribbling. The France International combines stamina, pace and aggression to become one of the best midfield dribblers in Europe. His dribbling technique is mainly based on quick touches of the ball with quick change of direction. His ability to carry the ball forward makes him able to open up spaces for teammates by attracting opposing players to him and also provide quick transitions when the team recovers the ball. Last season, he averaged 3.25 dribbles per 90 min which was more than any other Lyon player except Nabil Fekir and Houssem Aouar. Ndombele is also a great asset when it comes to breaking the lines. Last season at Lyon, he created 44 goal-scoring chances averaging 1.71 key passes per game and he has already registered 4 assists for Lyon this season. His passing in the final third is promising as he always tries more risky through balls to find runs of attacking players. His ability to execute well weighted through balls after dribbling into spaces makes him a bit unpredictable which causes problems to the opposing defensive chain of players. This makes him to be sometimes relied upon when dealing with low defensive blocks although he is not a naturally creative player. As a defensive midfielder, Ndombele, can always be relied upon when it comes to ball recoveries. The 21 year old has a good defensive awareness and can break up attacking play then provide quick transition of defensive to attack. This transitions creates a lot of goal-scoring opportunities for Lyon. Ndombele, Tousart and Aouar have especially formed an incredible midfield unit. The three complement one another as they have the tactical understanding to know when to drop deep or to switch and contribute in the buildup play. This has helped in forming a midfield unit very hard to be caught on the break. At 5ft 11in, Ndombele was always going to struggle when it comes to winning aerial duels. So far this season, the midfielder has only won 0.4 duels per 90 min which is poor although this fear can be softened through playing alongside a tall midfield partner in a double pivot. Ndomele's offensive contribution is also a concern. although he can occasionally try the killer pass when he makes the galloping runs in between the lines, his shots per game are still below expectations. He has only attempted 0.8 shots per game this season and we can guarantee that he is going to be one of the most complete midfielders in Europe if he improves in this area of his game. Tanguy Ndombele is just 21 years of age and he will no doubt mature into one of the best midfielders at a later point in his career. With the ability to conduct the ball in tight spaces, brilliant dribbler and great athleticism and versatility, it can be said that the young French defender has all the skill sets to develop into one of the finest midfielders of the game.